The features and all the specifications of Samsung Galaxy S5 bring one word in mind: Evolution. The phone has a better camera that has clearly evolved to click faster and cleaner images. 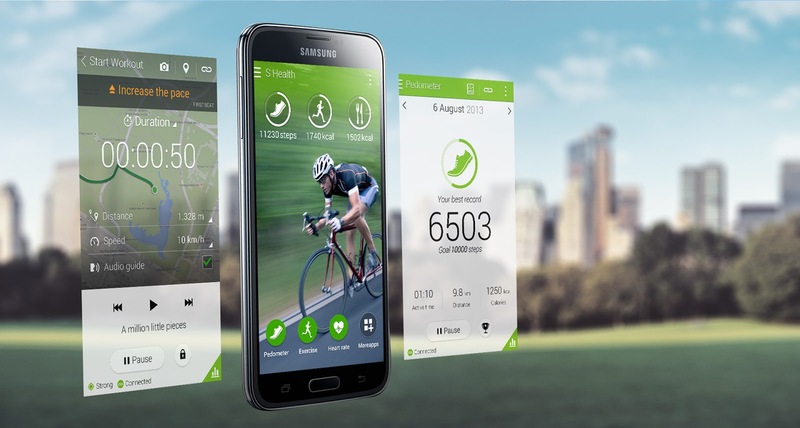 The fitness-tracking abilities of the phone are better compared to its predecessor Samsung Galaxy S4. IT has more powerful S Health app and a heart rate monitor on the rear. To improve the security, this innovative gadget has a fingerprint scanner, which makes it one of the finest phones ever made. The battery of the phone is larger and the screen much bigger and brighter. The processor of the phone is also very quick. Although, there is not any one stand out feature that will grab your attention when you look at this mobile for the first time but Samsung has definitely made a fan-base and this smartphone is sure to grab the attention of most Android phone lovers. Price-wise, the phone is little less expensive compared to the previous flagship models. The model of the mobile promises a ‘fashionable’ and ‘glam’ design, along with a camera that works the way every camera lover wants it. The phone is also water resistant, which makes it worth a try. Keeping all the above-mentioned factors in mind, it is not wrong to say that Samsung Galaxy S5 is sure to grab attention of Samsung fans and smartphone enthusiasts.